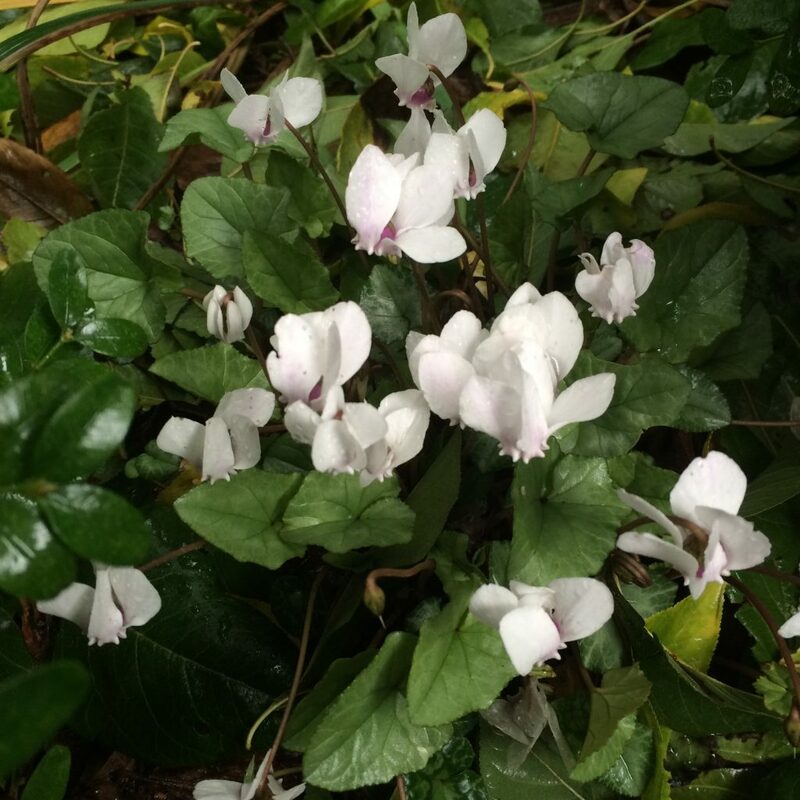 Our seed strain of the fall blooming ivy leaved Cyclamen. After 15 years we’ve separated the best all silver leaf forms. Most have white or light pink flowers that appear from late summer through mid-autumn. In time the corms become enormous and they will seed with a large majority revealing silver or heavily silver marked leaves. Great plant for competition with dry tree roots or anywhere that is dust dry in summer. Leaves appear after blossoms and are showy all winter before going spring/summer dormant. Deer resistant. Excellently adapted to our climate. Mediterranean.